That's right, preview rather than review. We haven't verified that these are even vegetarian yet, but we're pretty sure they are. They're labelled Dairy-Free, but not as vegetarian, and a couple of the ingredients could be from animal fat. Buono make other products with the same ingredients that are labelled as vegetarian, so we're pretty sure this is an oversight. We've reached out to the distributor to establish the facts, and await their reply. UPDATE: These are confirmed as vegetarian, as well as dairy-free (and have no other possible animal ingredients listed) and they therefore meet our review criteria as being vegan. If you're not familiar with mochi you're missing out. The japanese style glutinous rice cakes have an unusual texture and come in a whole range of flavours. The term mochi covers a wide range of glutinous rice cakes, and the sweet-filled ones such as these are 'daifuku' mochi. 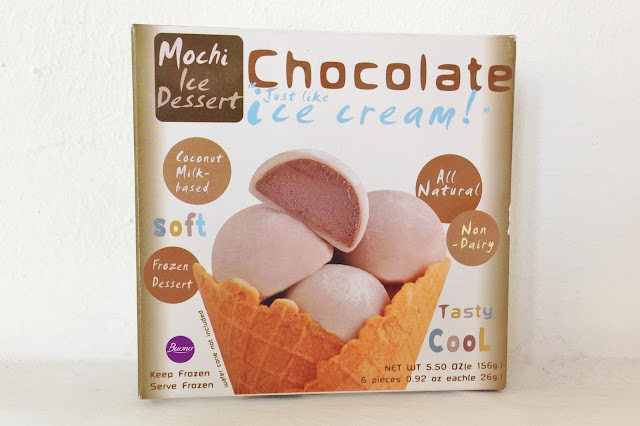 In the US you can find mochi ice cream balls, even vegan ones, but sadly not in the UK. 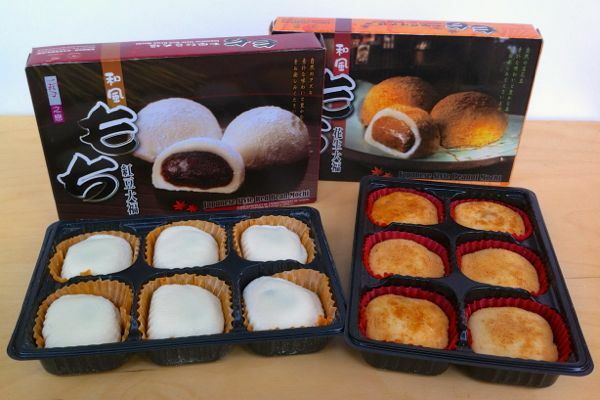 What we can get here are brands such as 3 Uncle (from Taiwan) who produce several vegan types of mochi.